Sunflowers might not be the first thing you think of when you think of Sweden. But at this time of year, the place is full of them. Well, not really sunflowers per se, but a type of sunflower. The fantastic thing about sunflowers, apart from their brash yellow colour and the flocks of buterflies that they attract, is the way in which they move. Their big, open faces look up at the sky, reaching for the light, and when the sun is out the sunflower moves its face to follow the its path across the sky. They really enjoy soaking up the rays of light and the warmth that the sun provides. It’s a fantastic sight to behold as you drive through the countryside in France or Italy. But we’re not in France or Italy, we’re in Sweden. So what has this got to do with Sweden then? Well, Swedes are like sunflowers. After a long, dark, cold winter, Spring eventually arrives. This year, it seemed to arrive yesterday. Temperatures soared to 17 degrees celcius, the sky was blue and people hit the streets and the parks. Everybody emerged from their winter hybernation. They sat on park benches, on blankets, on window ledges, on balconies. They leaned up against sunny walls. And as they sat there, they lifted their faces, just like sunflowers, to face the sun and to feel the warming rays of light on their pale wintery skin. Sometimes people just stopped randomly on street corners and lifted their faces up to the sun, eyes closed, to soak up the light. So you see, Swedish sunflowers are the Swedes themselves. And you’d be hard pushed to find a more sun-worshipping, thankful population at this time of the year. I HAVE BEEN PLANTING FLOWERS IN FRONT OF THE SEATTLE SWEDISH CLUB FOR A FEW YEARS NOW. I TRY TO PLANT YELLOW, WHITE, AND BLUE FLOWERS however blue flowers are not easy for me to find. THE EXECUTIVE DIRECTOR HAS SUGGEST TWIN FLOWER however i have been told by the local expert that to grow here is next to impossible. 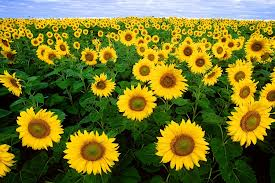 I REALLY WANT TO GROW SUNFLOWERS, TALL BRIGHT AND BUTTERY WITH “GREEN” MIDDLES AT MATURITY. NEXT YEAR I WILL DEVOTE MYSELF TO THIS MARVEL OF A FLOWER. WE GAVE HAD A VERY HOT SUMMER HERE AND RECENTLY SO MUCH SMOKE FROM CANADIAN FIRES. THANK YOU ESPECIALLY FOR YOUR RECENT POLITICAL INFORMATION, BEING A FOUNDING MEMBER OF NOW IN NORTH CHICAGO I APPRECIATE. MY GRANDMOTHER CAME FROM SWEDEN.